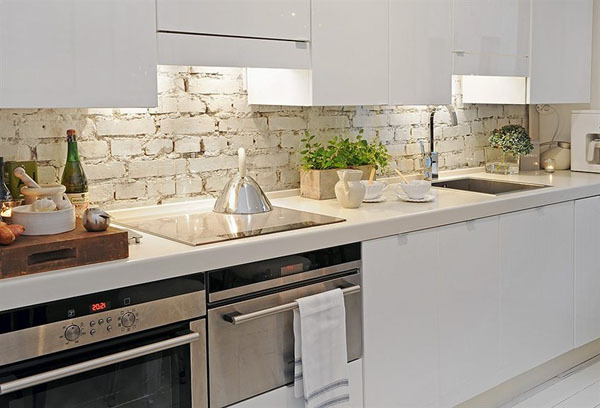 When I was planning this entire kitchen remodel, these are the pictures I used for backsplash inspiration. 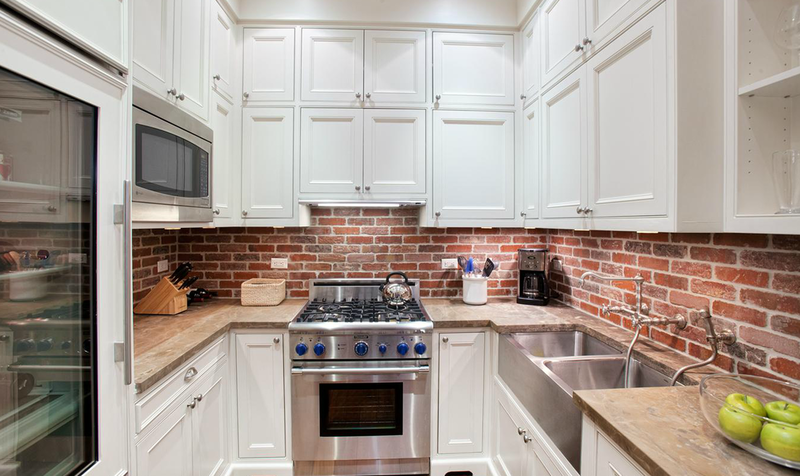 One, the brick may not always be ‘in style’ whereas the subway tile is timeless. Two, I couldn’t find the exact brick I was looking for. Bryn and I had planned to do the backsplash ourselves. At this point, I am laughing at myself just thinking about it. Since we are behind schedule and I am completely over having a messy kitchen, we decided to hire someone to do it for us. Someday we will tackle a tiling project. Someday. Overall, I am happy with the way it turned out. I am SO glad to have those ugly walls covered up. Now we are in the home stretch...maybe. And how could I forget the kitchen sink? I LOVE the new sink. It’s a cast iron drop-in sink and all I have to say is it’s heavy! It goes perfectly with my modern farmhouse/ industrial kitchen. Previously, we had a double bowl sink. Our new sink is a single bowl and let me tell you, it’s a whole new kitchen experience. 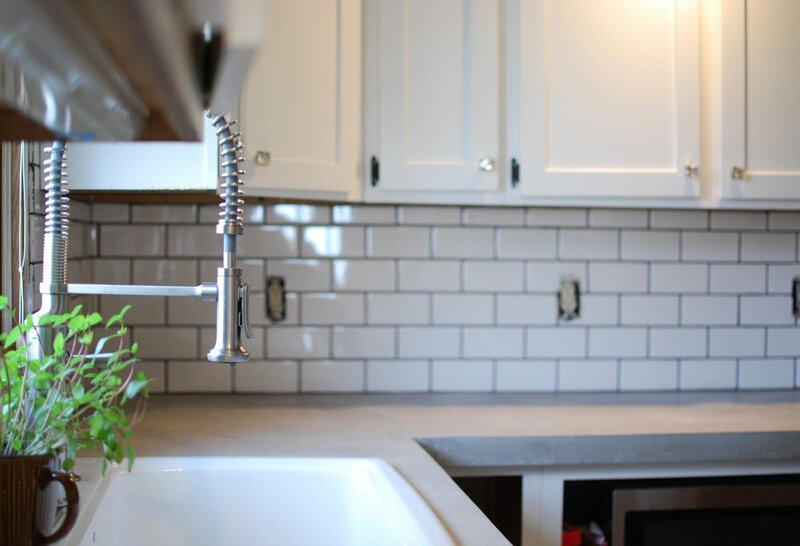 The sink has so much room to put dishes, wash dishes, etc. It’s truly magical. For those of you that put dishes in your sink and leave them there, this may not be a good thing for you to have. More space = more dirty dishes! 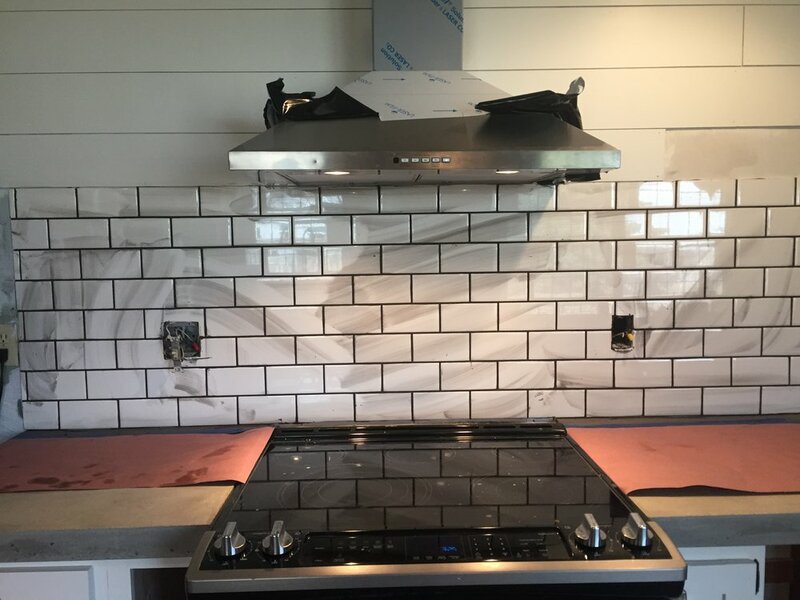 Things are moving right along over here, stay tuned for the next kitchen update. We are getting so close to the finish line! Newer PostHow to love a hobby and not be a perfectionist. 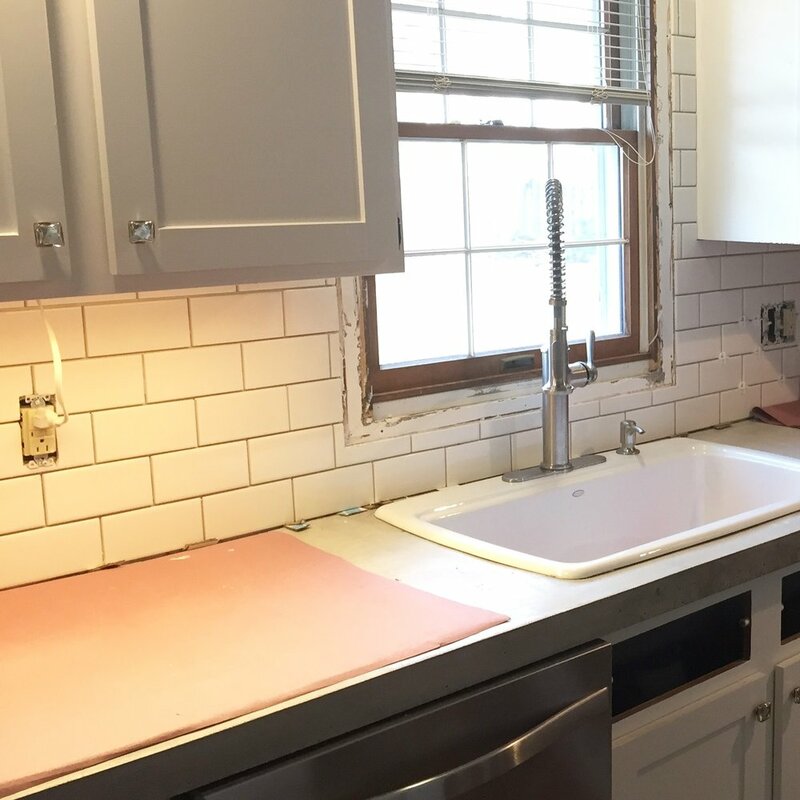 Older PostDIY Concrete Countertops, Part 3 - lessons learned.